Matthew Kay has spent his career learning how to lead students through the most difficult race conversations. He not only makes the case that high school classrooms are one of the best places to have those conversations, but he also offers a method for getting them right. I found myself thinking, "How different would the field of education be if Matt Kay had advised John Dewey? How different would I be if Matt Kay had been my teacher?" The answer: radically so. He is that important, and his work on race is that essential. Matt Kay on "Safe Spaces"
I’m in love with Matthew’s book. He writes with clarity, passion, and backs up everything he says with experiences or history that hits you right in the chest. As an educator in the world today, we owe it to our students to listen to what Matthew Kay has to say. 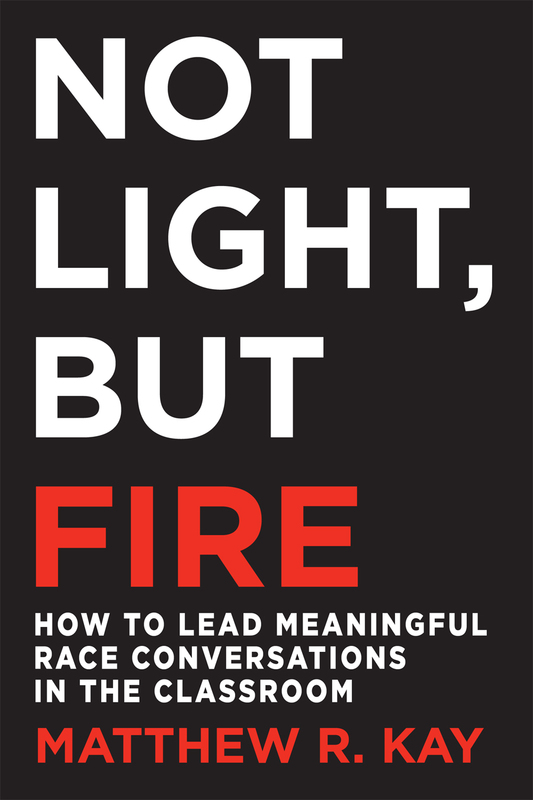 This is the book we need to shift the "tried and tired" practice of touting empty rhetoric about race to a practice that puts us firmly on a pathway toward achieving racial equity. Matt is a master facilitator and shares the tools every teacher needs to hone their practice to make conversations about race commonplace. Thoughtful, timely, and beautifully written.